Serving Milwaukee, WI and surrounding areas for the past 180 years, Habhegger Wheel & Axle takes pride in providing full service auto repair, including diagnostics, oil changes, emissions, transmissions, brakes, air conditioning and alignments. We look forward to working on your vehicle! 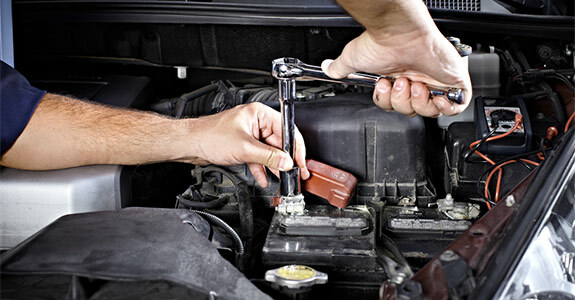 We know there are a lot of mechanics out there offering full service auto repair in Milwaukee, WI. We know they all tout their experience, guarantee certification and promise quality work for affordable prices. But only one mechanic shop in the area offers a depth of dedicated mechanics, carries ASE certification, operates as a Napa Care Center and boasts over 180 years of experience, first as a blacksmith and now providing auto repair in Milwaukee, WI. That auto shop is Habhegger Wheel & Axle. We’ve been serving the Milwaukee area since 1832 with comprehensive and consistent auto care, and we hope to continue doing so for many more years to come. Habhegger Wheel & Axle offers service and repair for just about everything. That includes air conditioning, tires, emissions work, drivelines, suspension, transmissions, engine diagnosis, brakes, oil changes and so much more. In our nearly two centuries of operation, we’ve seen everything, which means we can fix or service just about anything that comes our way. We love taking on a challenge, and no job is too big or too small for our team of mechanical experts. Here are just a few reasons why you should be doing business with us. We are a proud locally owned and operated business in Milwaukee, WI. We have been a community institution since 1832. Our team of mechanics can handle any and all servicing and repair work. Our prices are competitive with other mechanics in the area.